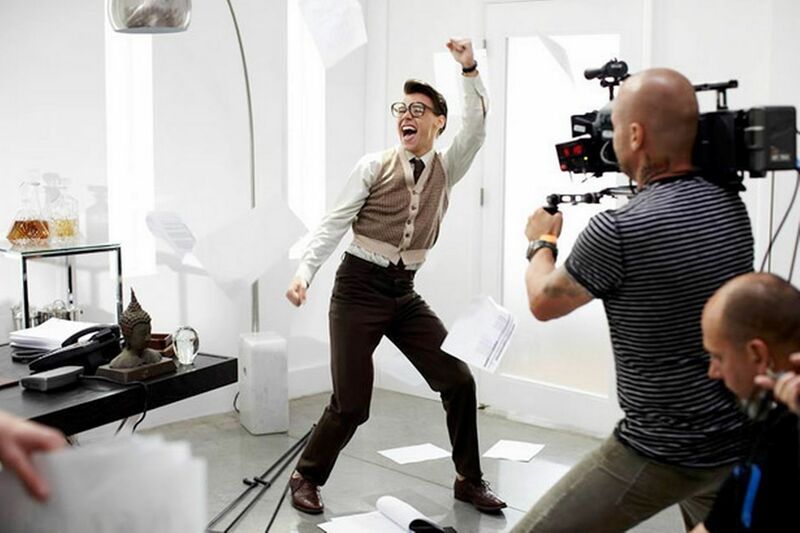 Best Song Ever Exclusive Pictures! Harry Styles, Liam Payne, Zayn Malik, Niall Horan and Louis Tomlinson swapped their trademark skinny jeans for fancy dress . 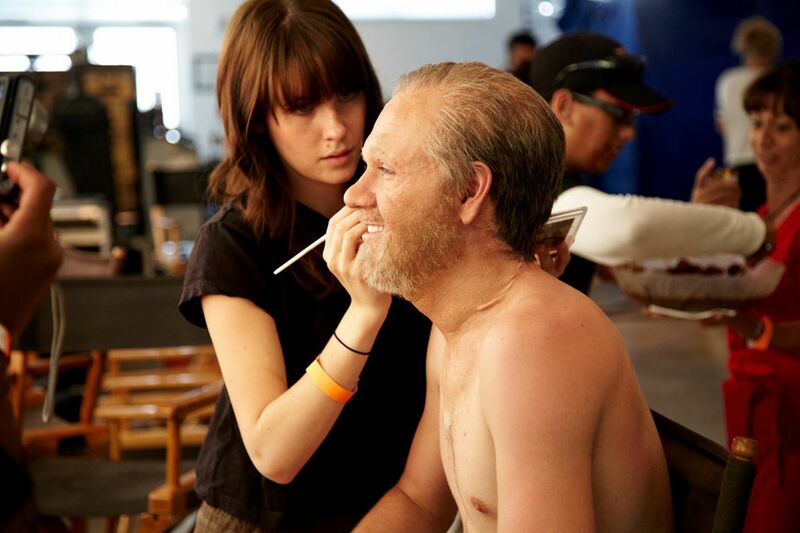 Their handsome faces are familiar to millions – so One Direction’s make-up crew really had their work cut out creating these disguises. Harry Styles, Liam Payne, Zayn Malik, Niall Horan and Louis Tomlinson swapped their trademark skinny jeans and high-top trainers for fancy dress for their new Los Angeles-set music video. And as Sunday People exclusive pictures show, the world’s most recognisable boyband had a blast being transformed into US music industry workers for the clip to go with single Best Song Ever – out tomorrow. 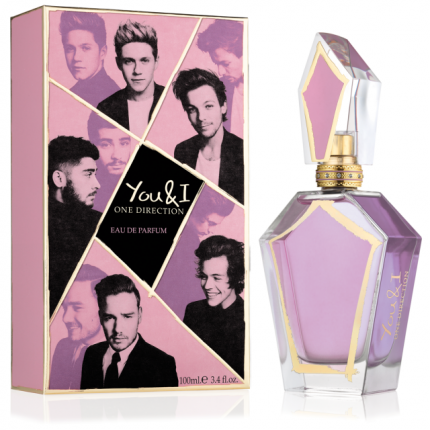 Zayn, 20, must have drawn the short straw – he was turned into a bespectacled female brunette for the video. The singer, who is dating Little Mix star Perrie Edwards, wore women’s office wear and a fetching curly wig. 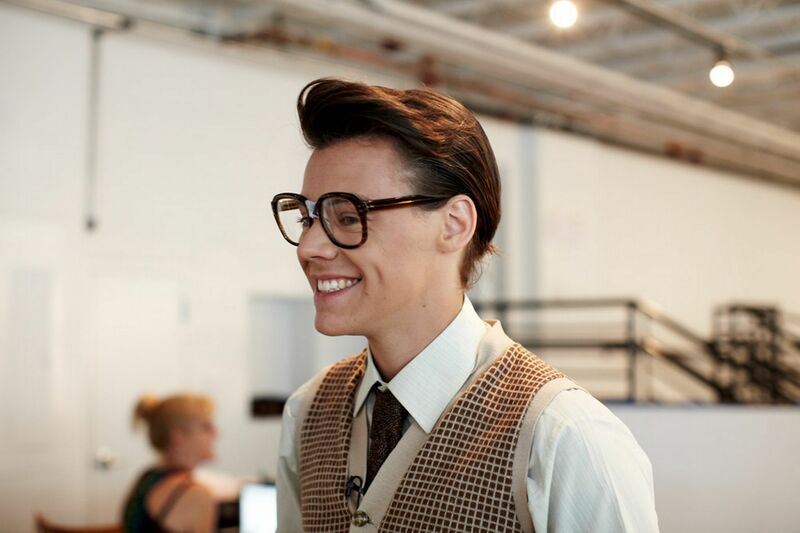 Harry Styles, meanwhile, was transformed in a marketing boss called Marcel. The 19-year-old heart-throb, who is usually seen in trendy blazers, wore a tank top and a pair of nerdy glasses. With the curly hair that helped make him a household name straightened and slicked back, he ended up looking like Sir Cliff Richard in his pomp. 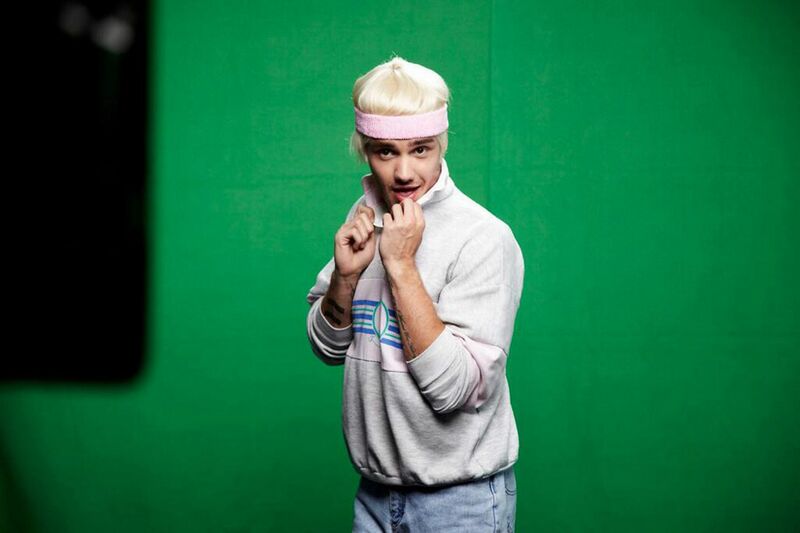 Liam, also 19, was given the role of a choreographer named Leeroy. He had to wear a pink headband and blonde wig. Louis, 21, became a record company executive called Johnny – and had to hide away his locks for a bald look. Niall, 19, had to wear padding underneath his shirt to play rotund boss Harvey. He was also given a fuzzy ginger beard by the band’s talented make-up artists. 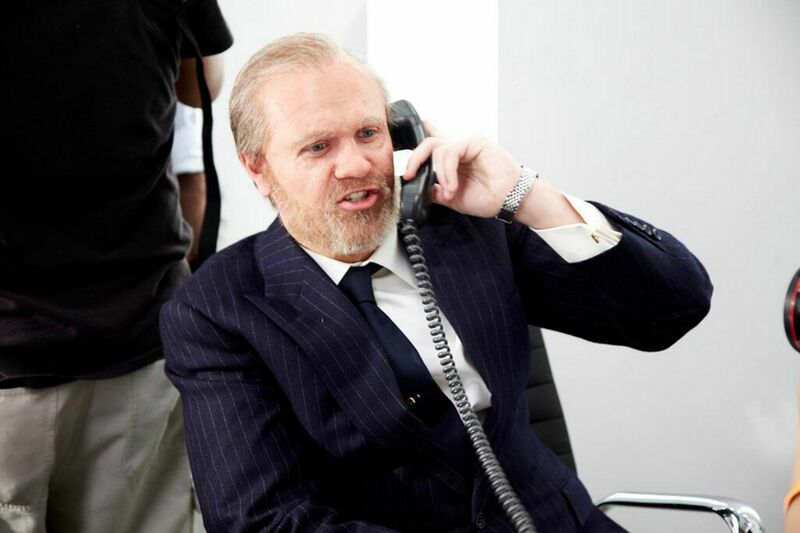 Best Song Ever will be the first single released off the band’s third album, which is due out in the autumn. The song is also featured on the trailer for their movie, This Is Us, which is out on August 30. A source close to the group said they chose the music ­industry theme because they like to keep their loyal fans entertained by doing something different. 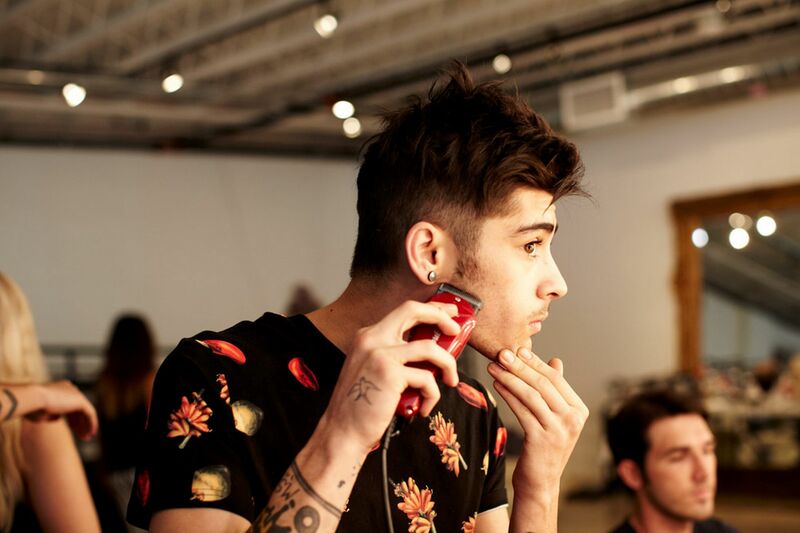 The insider said: “The boys had a great time making the movie. “They couldn’t ­believe how different they look. They can’t wait for their fans to see them looking like this, they think they will find it absolutely hilarious. Another way that they can have a giggle together. “There was never any question that they would mind looking a little bit ridiculous in the video. The clip is set in Los Angeles and the world-famous Hollywood sign is featured – except with the giant letters digitally-altered to read One Direction. 1D, who shot to fame on X Factor in 2010, have become the world’s most famous ­boyband since The Beatles. They have just finished writing their third album and for the first time every song has been penned by the band members. It means they could net many extra millions through royalties if it sells as well as their previous albums. The source added: “The boys have learned the music industry quickly and have loads of ideas about how they want to take the band forward to do different things. They know that otherwise it’s easy for groups to be put into one ­category and stagnate. The boys went on X Factor as solo hopefuls but were made into a group by judge Nicole Scherzinger, who was standing in for Cheryl Cole at the time. As well as becoming best pals, they have conquered the UK, America and Australia, and had a massive hit with What Makes You Beautiful. They also have a huge fanbase across Europe. All of the photos below are wallpapers! Click on them and download your fav!